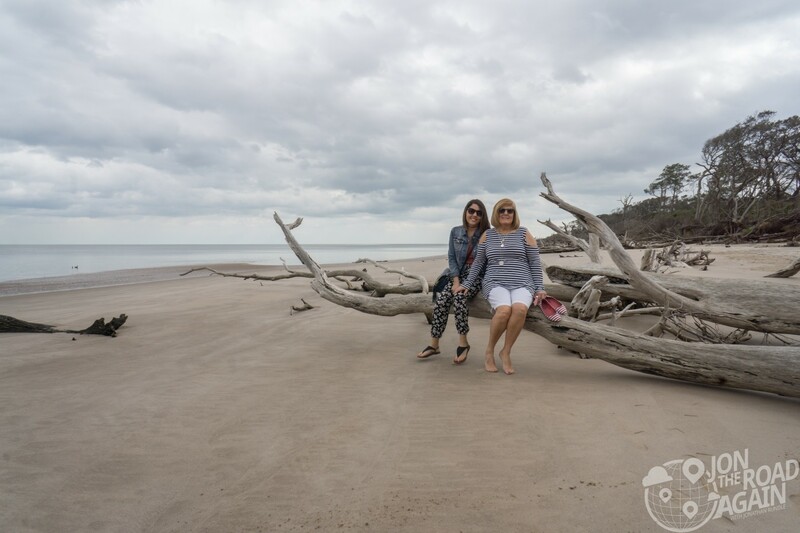 A barrier island between the the Florida mainland and the Atlantic Ocean, Big Talbot Island has two popular spots to visit. One is Black Rock Beach and the other, which we’ll explore today is Boneyard Beach. Boneyard is the most popular, mostly because of it’s easy access to A1A, the state coastal road that goes from here all the way down to Key West. Let’s park and start walking! 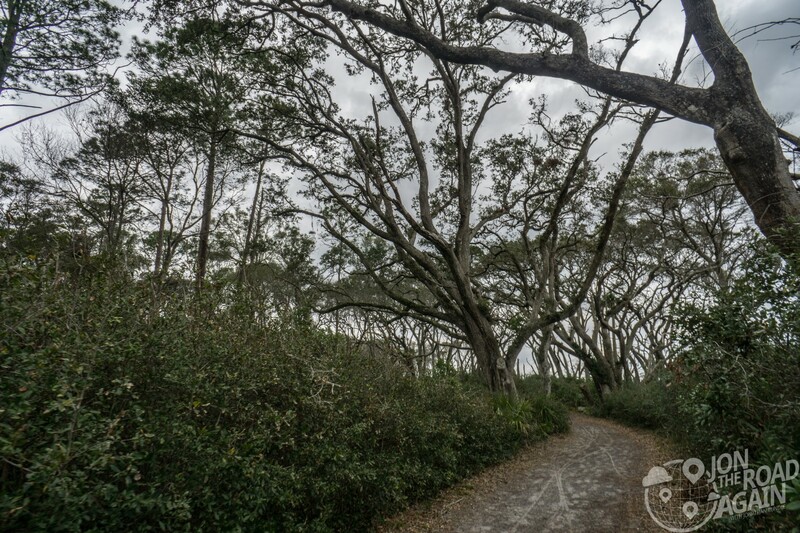 This short trail from the parking area winds just a little off the coast and into the thicker underbrush. I was captivated by this beautiful canopy that the trees provided us during our walk. 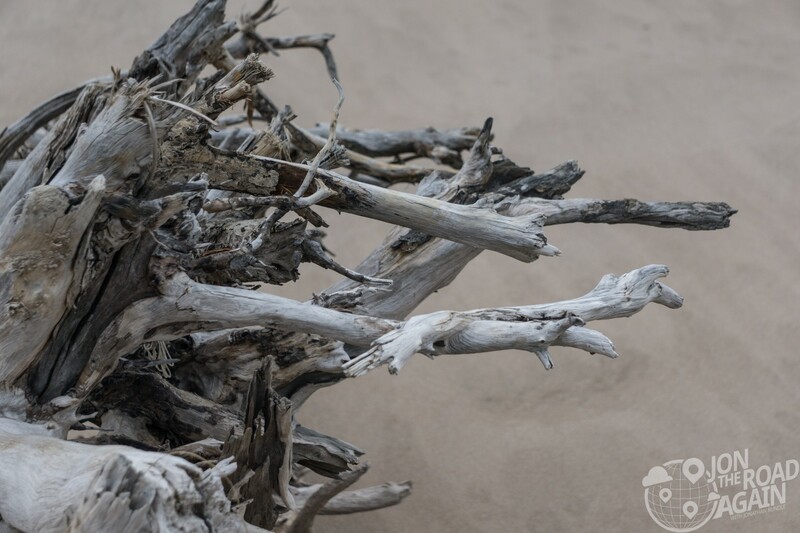 These bleached oak and cedar skeletons fill the mile-long beach. 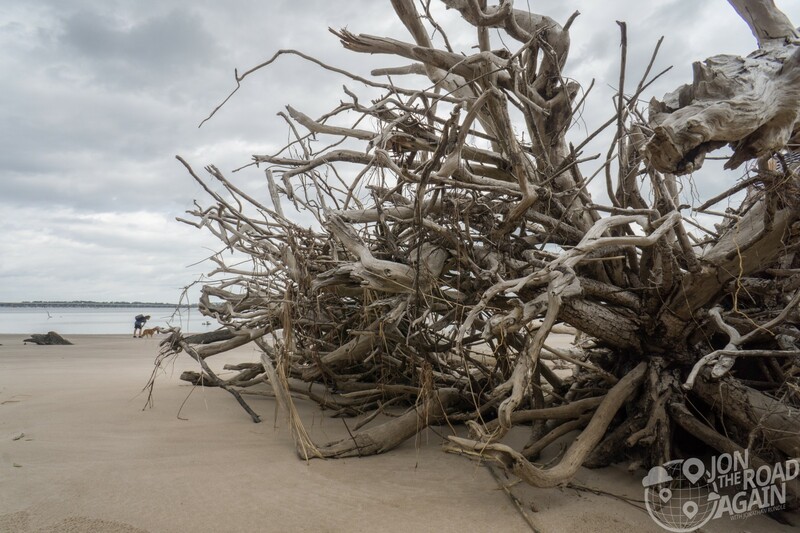 These massive pieces of driftwood have fallen onto the beach because of erosion. They’ll stay there until the tide can carry them out or they disintegrate into the sand. The trees themselves are a fantastic subject, but if you can convince your traveling companions to pose with one – all the better! Thousands of years ago the island was home to Florida’s most ancient people, the Timucua. By the late 18th century, most of the Timucua had perished. Evidence of their civilization is seen in shell middens, ancient trash piles of oyster shells. The Talbot Islands namesake is Charles Baron Talbot, Lord High Chancellor of England. 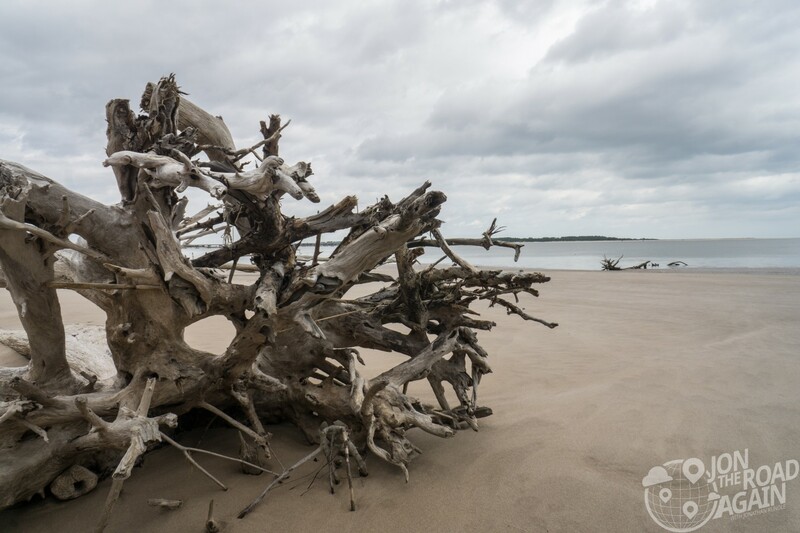 Big Talbot Island State Park is open every day from 8am until sunset. Don’t take anything from the parks, it’s illegal. There are daily use fees, check the signage at the entrance for up-to-date fee information. See more on the park website. So lonely,but so pretty .Great beach !!! !